Have you just experienced a home or business flood disaster in La Verne? Recovery and flood restoration requires more expertise and experience than many people believe. Depending on the exact nature of the damage you’ll need some combination of water damage removal, mold remediation, fire damage repair, smoke and odor removal, flood damage removal, and storm damage repair. Restoration Masters has certified restoration technicians in all of those areas, and more. There’s only a 24 to 48 hour window to take all the actions necessary to prevent further destruction, so they’re always on-call and there’s always an expert here ready to take your phone call 24/7. We can reach any La Verne location within an hour. You’re no doubt feeling overwhelmed by the losses and the long list of things you need to attend to. We’re a family owned and operated local company ready to provide the full line of all restoration services you might need. This isn’t the time to be taking chances; it’s critical that you bring in only true professionals, well trained and with years of experience. And that’s exactly what you get when you call us. 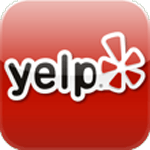 Our many 5-star reviews are testimonies to our dependability, top-quality work, and exceptional customer care. We employ technicians with IICRC (www.iicrc.org/) certifications in a broad range of cleaning and restoration specialties along with expert craftsmen. And of course we’re fully insured and properly licensed for every service we perform. From carpet and upholstery cleaning to major reconstruction we have you covered. We’ve worked closely with all the major insurance companies in the La Verne area, and know exactly what they expect in detailed documentation, mitigation, and restoration for a swift and hassle-free claims process. We’ll bill them directly so that you don’t need to make an up-front pavement to get work started. We’ll have your home or office restored to like-new condition and your life back to normal as quickly as possible. Whether from natural flooding, a broken pipe, or just a bath tub overflow you don’t need to be in waste deep water to need flood damage restoration and water damage restoration. Any puddle quickly soaks through carpet and any cracks or seams of other flooring then penetrates deeply into the sub-floor. Given just a few hours water can even wick upwards a foot or more inside walls. From there it can take weeks to evaporate, warping & splitting wood, crumbling drywall and supporting mold the whole time. So it’s critical to remove every last bit of excess moisture as quickly as possible. Mopping and using a wet-vac or carpet cleaner don’t even begin to address the problem. The first step of flood damage restoration is, of course, pumping out any standing water. But that needs to be done in conjunction with careful disinfection. Even if there’s been no sewage involved water becomes filled with bacteria and other harmful microorganisms in as little as 24 hours. With safety assured, we can begin with flood damage repair. That first day is also critical in minimizing the extent of water damage repairs. Our industry best-practices along with the latest equipment for water extraction and refrigerant dehumidification means that we can often cut the time for complete structural to half that of competing methods. That’s critical when every day means further harm and another day that your life is turned upside down. It’s no wonder that looking over the aftermath of a fire feels totally devastating. Fire damage restoration often calls for every last one of our specialized skills. It all begins with a detailed assessment, then making the building safe and secure for future work. Besides the building itself, we’ll make a complete inventory of destroyed, recoverable, and unharmed furniture and other possessions then create a complete recovery plan and schedule. In addition to cleanup and debris removal, that plan often includes water damage repairs as a result of firefighting. 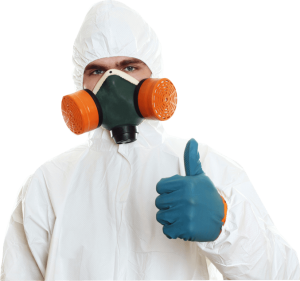 If smoldering areas, obstructions, or other major issues delay treatments fire damage restoration may also include mold remediation. The restoration effort itself can range from minor repairs all the way to major reconstruction of significant parts of the building. There’s often large amounts of debris and items that must be discarded, so our fire damage removal completes the job with hauling these away and properly disposing of hazardous materials. The typical house fire creates hundreds of different odor-causing, corrosive, and toxic compounds that can reach into just about anywhere. Every fire is different, so experience and training are vital in knowing precisely how to treat each building component and home or business possession. Our smoke and odor removal methods include wipe-downs with carefully selected eco-friendly cleansers and deep extraction for furniture and the like as well as soda-blasting for building surfaces. We’ll follow through with non-toxic ozone treatments that reach deep inside the structure to neutralize odors. With anything less, the odds are that you’ll be stuck with odors that stick around for years. Whether part of water damage restoration or simply the result of excess humidity, mold removal must be performed cautiously yet thoroughly. It poses potentially very severe health risks and spreads easily, especially when disturbed. And never forget that a big problem can remain hidden inside walls and under carpeting or other flooring. Our experienced and certified technicians follow regulations, guidelines, and checklists to the letter to keep everyone safe and prevent regrowth. Pack Out Services — It’s often best to quickly treat furniture and other possessions and then move them to our facility for further treatment and secure storage. That provides the best odds of recovery, and helps speed building restoration as well. Storm Damage Restoration — We’re also a single company that can take care of all of your storm damage removal needs, from tarp-overs and board ups to water damage repair. Our crews also provide expert temporary as well as permanent storm damage repairs such as window replacements and roof repair. And of course we’ll clean up and haul away all debris. Leak Detection — Even a small leak will cause progressive harm if uncorrected. If the source is inside a wall, under the floor slab, or out in the lawn our experts can pinpoint the location aided by state-of-the-art electronic leak detection gear. There’s simply no need to put up with the many exploratory holes and guesswork of old-school methods. The City of La Verne CA continues to update it’s Natural Hazards Mitigation Plan and so continues to qualify FEMA funding to help keep its residents and businesses safe. That’s important as the area has always experienced flooding and wildfires. Among the most recent was a 27 acre brush fire just east of the city in 2013, leading to the evacuation of some 200 homes (http://ktla.com/2013/09/13/brush-fire-burning-close-to-homes-in-la-verne/). Going back far further, La Verne was almost completely shut down for over three days by the region-wide flooding of 1938. During that time the area received some 1/5 of it’s seasonal average rainfall in a single day (http://historicaloldtownlaverne.blogspot.com/2015/12/la-verne-hit-by-flood-water-1938.html).